What is ICAN, what does it stand for and how is the Nobel Peace Prize awarded? THE 2017 Nobel Peace Prize was awarded to the International Campaign to Abolish Nuclear Weapons. The global company was named the winner of the prestigious award in Oslo. Here's everything you need to know... What is the International Campaign to Abolish Nuclear Weapons? ICAN is a global organisation working to implement the Treaty on the Prohibition of Nuclear Weapons. It was launched in 2007 and has 468 partner companies in 101 countries. ICAN describes itself as a coalition of grassroots non-government groups in over 100 nations. It began in Australia and was officially launched in Vienna in 2007. The campaign has shifted the debate on nuclear weapons to focus on the human threat posed - drawing attention to their catastrophic health and environmental consequences, the long-lasting radiation in the surrounding area and their unique destructive capacity. Founders of ICAN were inspired by the success of the International Campaign to Ban Landmines, who brought about the negotiation of … [Read more...] about What is ICAN, what does it stand for and how is the Nobel Peace Prize awarded? 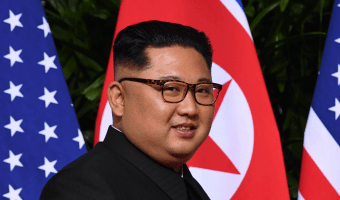 Could Donald Trump win the Nobel Peace Prize 2018, is Kim Jong-un favourite and who are the most controversial winners? THE efforts of Donald Trump and Kim Jong-un to reach an agreement at the Singapore summit could see one - or even both - of the leaders lift the coveted Nobel Peace Prize 2018. The pair signed the agreement after a working lunch on June 11 with Trump saying the denuclearisation process would begin "very, very quickly". Could Donald Trump win the Nobel Peace Prize 2018? It is certainly a possibility as the US President was formally nominated for the award in May this year. A group of 18 of Trump's Republican supporters in the House of Representatives sent a letter to the Norwegian Nobel Committee urging it to consider him for next year's award in recognition of "his tireless work to bring peace to our world." However the committee has revealed there are currently 330 individuals and organisations in the running already although the list of nominees is kept secret. The award is handed out in December. Is Kim Jong-un favourite? While the runners and riders for the prize are not revealed, … [Read more...] about Could Donald Trump win the Nobel Peace Prize 2018, is Kim Jong-un favourite and who are the most controversial winners?